Such a place as Grimes describes doesn’t only take place in September, it needs to be maintained throughout the year. One of the pleasures I have in teaching in the library (that I had in the regular classroom) is to share my passion for reading. I wear my reading heart on my sleeve every day. My students know I am a reader because I share what I’ve read over the summer, as well as what I read throughout the year. My assistant shares what she’s read too, and our students know they can come to us for a good recommendation. Putting up a bulletin board that features the teachers and staff in your building with the cover of the book he/she read over the summer is a great way to show everyone is a reader. “What books, how, and to whom we choose to present them determine who enters the kingdom.” (Grimes, 2006) Displaying our new books prominently throughout the library entices readers of all ages to check out those books. Using Animoto (www.animoto.com) to create videos of the new arrivals gets the children excited to read. Oohs and aahs can be heard as the book covers appear on the screen to upbeat music. Reading aloud with animation and voices helps to bring books and reading to life for my students. Creating opportunities for children to talk about books is also important to librarians and classroom teachers. “To create a community of readers in our libraries, we need to provide the models and the arenas for conversations to take place through the creation of book clubs, blogs, and scaffolded dialogues.” (Grimes, 2006) One way to do this is to host book clubs. My fourth grade team does parent-student book clubs four times within the year, and they are held in the morning (before the official school day begins) in the library. The team and I collaborate on what books will be read and how we can facilitate the conversation among the students and their parents. We also use each opportunity to booktalk the next book we will be reading so as to entice the parents and children to continue with this wonderful venue. Another way to promote book clubs is to invite students to join an author book club. If your library hosts author visits, then the children can be invited to join you for a morning or lunchtime book club and read one of his/her books prior to the visit. The book club can meet weekly or bi-weekly so the momentum is maintained and the book is read in a timely manner before the visit. If a bi-weekly schedule is set up then a blog (www.edublogs.org) can be created to keep the lines of communication open on the weeks the book club doesn’t meet. 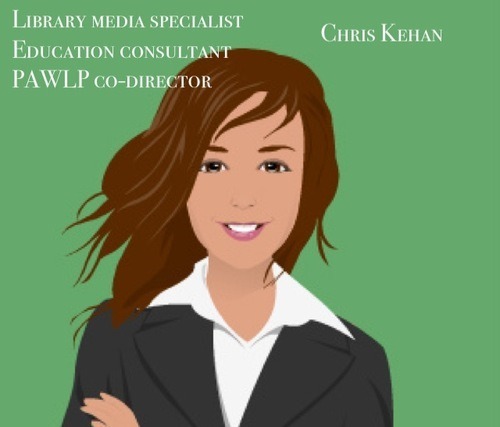 In order for the library to be an open book to the community-at-large, it is important to have a website or newsletter informing parents, children, and teachers of the happenings going on in the library. If a library has a website, then links to newsletters, book lists, author sites, research websites, and policies can be posted regularly. Creating bookmarks for students to take home as they check-out books can inform parents of the website’s URL address. Refreshing the site on a regular basis will keep parents, students, and teachers coming back to learn more about the library and all it has to offer. What opportunities do you provide where your students can talk about books, authors, and interests? How can you publicize/share the wonderful literature (fiction, nonfiction, and poetry) available to you and your students? How will you help your students to discover the readers that they are? How do you transform apathetic readers into a community of engaged, thoughtful readers? How can you invite parents into the literate lives of their children? How will you inform students and parents of the wonderful things happening in your classrooms on a regular basis? I just revisited this in preparation for discussing independent reading with the Strategies for Teaching Literature course and was reminded of all your smart suggestions. I was particularly struck by your idea of encouraging other teachers and faculty to share their love of reading with the school. My students know I’m a reader because I share my reading with them regularly, but I think they can greatly benefit by realizing that many of their other (non-literature) teachers are also readers. I love the idea of a bulletin board and to keep with the theme of maintaining enthusiasm, this can be revised and added to throughout the school year. I am definitely reaching that time in the school year where it is easy to run out of steam, but your post motivated me to maintain that energy. Thank you for sharing! Generating interest in reading is always a challenge, but Chris did offer some nice suggestions that any teacher can take away from. Unfortunately, when I was student growing up, libraries were regarded by students as a mere research hub. Most books gathered dust unless they were somehow useful when writing a paper or the book’s cover caught a passing eye. This was during the time when the internet was still blooming at the turn of the millennia. I am happy to say, that today, I have noticed an overhaul of libraries. They make room for the new digital age, but also place more emphasis catering towards student interests, rather than only obligatory research. The same values have also become more widespread in classrooms, where teachers, especially English-related, create their own mini-libraries for students to peruse. I envy the students! Building a collection for personal use and sharing with students is something I have planned for when I finally get a chance to manage my own classroom in the near future. Creating the environment to read and comfortably explore, with guidance and support, are mandatory prerequisites to generating reading interest among students. Just by reading this post I can see how passionate the author is about what they do and how they effect their school community. As a big reader myself I’ve always been one to recommend book titles to my younger siblings or other elementary aged students. One of the biggest problems I face when trying to motivate elementary and middle school students to read on their own and find their passion is a lack of interest in the action of reading. As educators we can suggest hundreds of titles to students that we think they’d find interesting but what can we do to start the process? One of the most important steps is getting them to open the book and start that first page, especially when they’re very disinterested and unwilling. The aspect of community created in the library as well as the classroom is a very important quality that must be maintained when it comes to education. When thinking about a newsletter to allow information to passed to parents and teachers, makes me think of the letter that some teachers send out at the beginning of the unit to allow parents/guardians know what is occurring the classroom. I believe that a newsletter is a great way to help build community and allow for information to be passed on outside of the space of the library. In the article, I liked how the author talked about creating a space for students to feel comfortable and a safe learning environment. Every September I always struggle with how to decorate my room and what materials to put on the wall that will guide students in their learning. Being a math teacher, I would love to know how I could incorporate a space where students can feel comfortable to talk about books and literature ? When I decorate my classroom I incorporate all math posters and saying. II would love to seek out a part in the room where I could display readings and literature that students would want to read and even talk about them.